An online countdown says there are just days left till the alleged apocalyptic event predicted by author and doomsayer David Meade for September 23. The prediction, involving the so-called Planet X smashing into Earth, has been repeatedly debunked by NASA. READ MORE: Planet X to really cause mass extinction this month? Meade wrote a book called “Planet X” in which he predicts that the planet, which is also called Nibiru, crashes into Earth in October. Recent events, including Hurricane Harvey and the solar eclipse, have caused him to move the date forward by a few weeks. Meade cites Bible passages from Luke 21:25 and 26 as proof that these recent events are signs of an impending apocalypse. His belief that the world will end is based on another Bible verse called The Woman and the Dragon from the Book of Revelation. 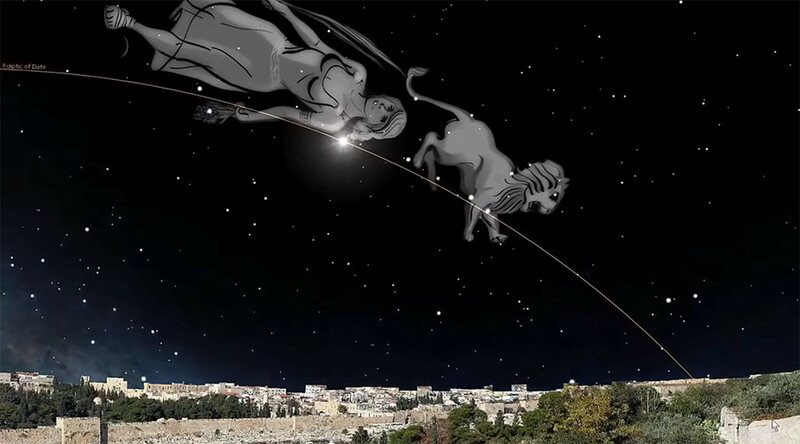 Evangelical Christian publication “Unsealed” tells the story of the verse in a four-minute YouTube video called “September 23, 2017: You Need to See This.” It uses animation from the planetarium software Stellarium showing constellations Virgo and Leo setting with the Sun. It is superimposed over the landscape of Jerusalem. Meade shared the video on his website. The theory has sparked feverish speculation online, with numerous conspiracy theory videos emerging on YouTube. A countdown clock has even been created to, supposedly, mark our planet’s final moments. NASA has repeatedly stated that Nibiru and other stories about wayward planets are an internet hoax and there is no factual basis for these claims. The space agency say that if a planet was on a collision course with Earth, astronomers would have been tracking it for the last decade and it would be visible to the naked eye by now. “After searching hundreds of millions of objects across our sky, NASA's Wide-Field Infrared Survey Explorer (WISE) has turned up no evidence of the hypothesized celestial body in our solar system commonly dubbed ‘Planet X,’” it previously said in a statement. Senior NASA scientist David Morrison also debunked the claim in a video titled “The truth about Niburu”. “It’s not real, Niburu doesn’t exist, we can’t see it we can’t detect its gravity and we don’t see a signature of its previous passages because there weren’t any,” Morrison said.